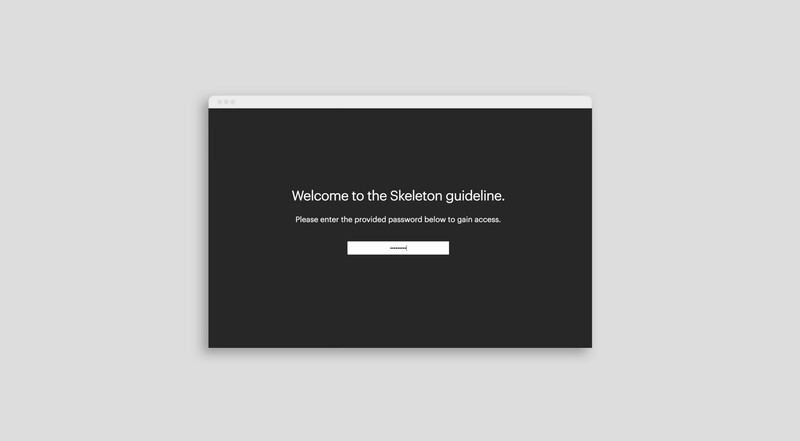 Today we are introducing Public/Private Guidelines: a simple way for designers and brands using Brandpad to choose if they want to secure their brand guideline & assets behind password protection — or share it with the world. We believe in open design processes, and see design transparency as a reliable way to create agile and successful brands. That’s one of the reasons we made Brandpad an open system without the need to add a new user every time someone needs a file. But now and then, a brands content can be secretive, sensitive or even bound by law to be inaccessible to the public (as we learned when a major alcoholic distributor in Scandinavia wanted to launch their brand portal). Designers in Brandpad have always had the option of securing assets from being downloaded by other than specific people, and with the Public/Private Guidelines feature we’re making another layer of protection available for brands, providing the option to lock up the whole guideline too. By default, a guideline published in Brandpad is public. To make it private, simply navigate to the brand settings for that brand and turn Password Protection “on” by choosing a password. When the function is turned on, it automatically triggers a password-page to your published brand guideline making sure no one but those ‘in the know’ can enter it. If preferred, this function can also work next to the secured assets option to create a second layer of permission control. However you decide how to use it — the feature is now accessible for all brands and accounts in the system and you can try it out by logging in.